– Joaquin Flores, for FRN – Please support Flores’ Patreon! 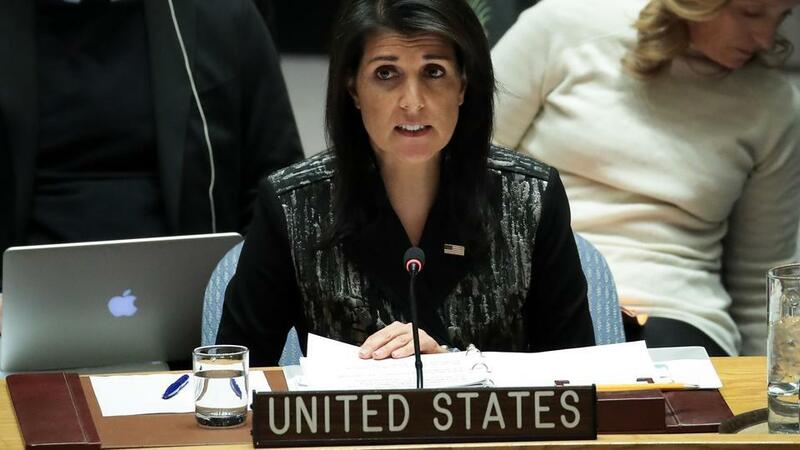 On Friday January 5th , Haley went to the UN Security Council to do what we rather predictably forecasted that she would, in the Fort Russ analytic piece, The US’s goal in Iran this week is EU sanctions, not regime-change. IRAN PROTEST CRISIS: Everything you need to know, which we believe was critical in setting the tone for understanding the Iranian protests in the English speaking world. As we predicted, Haley used the manufactured western media hologram about mass unrest in Iran, to gesture at convincing European leaders that Iran ought to be placed back under sanctions. What she did in her presentation was no different than what the deep state controlled US media did in the week running up: they used the relatively small body count of predictably failed armed terrorist groups’ attacks on security installations, which were repelled by Iran’s competent security forces, as the figure representing ‘protesters killed by the regime’. So Haley goes in knowing full well that the US had failed to get the Iranian government to either over-react, or react in a way that could be twisted by the US into appearing as an over-reaction. She also knew that European leaders weren’t going to be following the US’s marching orders this time around. This is why Friday was chosen. Friday is the end of a news week, and is the day of the week to choose for an event which you want to avoid serious media coverage on. This is also incidentally why we have chosen today, Monday January 8th, to remind the world what actually happened at the UN Security Council. In short, the US’s plans have been frustrated. The Iranian government has been clear that two phenomenon – the armed attacks, as well as the bizarre and unpopular demands of very small and separate stunt ‘protests’ – are the direct product of US interference. We’ve termed the latter as ‘stunts’ to avoid confusion with the actual legitimate protests. Apart from these two factors, there were some genuine protests related to issues of inflation, costs, and employment. These were not ‘regime change’ protests. Iranians were intelligent to focus their initial response on the legitimate demands of regular protesters – recognizing these as legitimate and indicating their receptiveness to some (in their own words) needed changes in Iran’s economy. Only later, and at the UN, did Iran roll out the ‘fake protests’ line regarding the smaller unpopular stunts, as well as clearly condemn the gulf states and NATO sphere states abuse of twitter to simulate excitement and coverage about events which were not in fact happening on the ground. Our forecast at the time was that the US did not believe that this media hologram would be anything like what could possibly destabilize the Iranian government. Rather, we said that these were simply being manufactured as product so that the US could try to get Iran back under sanctions on the EU side. To date, our thesis seems to have been confirmed. Iran, in recent months, has not only withdrawn its application to the WTO, but also indicated their goal to join the Eurasian Union within a few years time. Iran has supported the anti-terrorism campaigns in both Iraq and Syria. The US and Israel are up in arms over this, and would like nothing more than to see Iran isolated once again. Israel wants to guarantee its access to Iraqi resources, while the US sees Europe’s relationship with Iran as a dangerous sign of the EU’s growing independence from the US. The EU, insofar as it acts as a superstate, is not unlike other countries wherein the elites themselves have mixed commitments, interests, and bases of support. There is a general quorum of EU elites who see a productive relationship with Iran as being, on the balance, in their interests. The US Empire is today in terminal decline, and has little to offer its allies and friends in lieu of normalized relations with other countries on the US’s ‘black list’. “The move by the United States to bring to this council protests in Iran by some of our citizens for their legitimate grievances — some exacerbated by none other than the US itself in its dereliction of its obligations under the Joint Comprehensive Plan of Action — is an abuse of its power as a permanent member, and an abuse of the council itself. This is a very important distinction – all sorts of things may be going on inside of Iran, but the criteria for UN action, or to compel UN member states to act, can only be based upon certain things. Separate from the US’s internal discourse, in which frustrated armed attacks upon remote security and military installations that produced casualties, were conflated with lethal repression of protesters, no such evidence could be presented to the UN. This is because no such evidence had either been simulated by the US, nor were there any ‘Neda’ type events in reality. Without this factor, the US had to make gestures towards these, without really landing on a point, as well as trying to connect the reasons for the protesters grievances being a rejecting of Iran’s foreign policy, which the US wants to construe as a ‘regional threat to peace and security’ – threats to peace and security being within the UN Security Council’s actionable mandates. These comments are intended to get the listener to fill in the blanks and connect statements that are run one after the other, which do not actually refer to another, if one reads or listens closely. The purpose here is to try to meet the UN criteria on suppression of human rights. The problem for Haley is that protesters were allowed to protest, and EU member states let her know that this was their position on the reality at hand. So let’s underscore again where the attempted conflation takes place. It’s the leap between ‘deny their people human rights and fundamental freedoms.’, and ‘call on the Government of Iran to stop censoring the voice of the people’. These may sound connected, but they are not. Denial of human rights and fundamental freedoms may include censorship, but censorship does not in itself qualify as a denial of human rights and fundamental freedoms. And nowhere does Haley say that that Iran is denying Iranians these fundamental freedoms. It sounds like she does, but she does not in fact. This is in line with Haley’s method of delivery. Previously, in relation to the question of Iranian arms allegedly found used by Yemen’s Houthi rebels, Haley said she had ‘irrefutable evidence’ that this was the case. As now, Haley plays upon words and how casual listeners interpret statements intended to deceive. We wrote then, in TRUTH BOMB: Nikki Haley is 100% Right on ‘Irrefutable’ Iran claims, that indeed her evidence was irrefutable, because they were in fact irrational and could not present falsifiable (i.e irrefutable) evidence. See how she operates? It’s almost as if she’s under strict White House orders to not actually lie about certain critical things. Now regarding these Iran protests, Haley was not able to make comments that contained real accusations, nor make any demands, in part because the reality of the situation doesn’t justify these. Of course the reality of any situation hasn’t stopped EU member states from engaging in aggressive wars, sanctions, and crimes against humanity before. What’s different here is the actual desire within the EU for normalized relations with Iran. So yes, it’s a matter of IR realism for the EU, which only this time happens also to work out well also for Iran and regional stability. 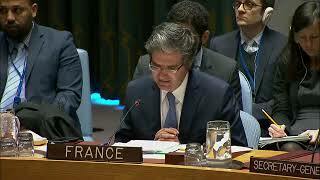 In other words, the entire UNSC charade was a waste of everyone’s time and out of the scope of the UNSC. The optimal script was that the US was supposed to have some sort of false flag successfully executed, snipers on roof tops, something that would produce protester fatalities. But as it’s been demonstrated historically, the US generally goes on ahead with the various moving parts of its plans even though critical pieces failed to fall into place. So they roll these out in a hedged form. 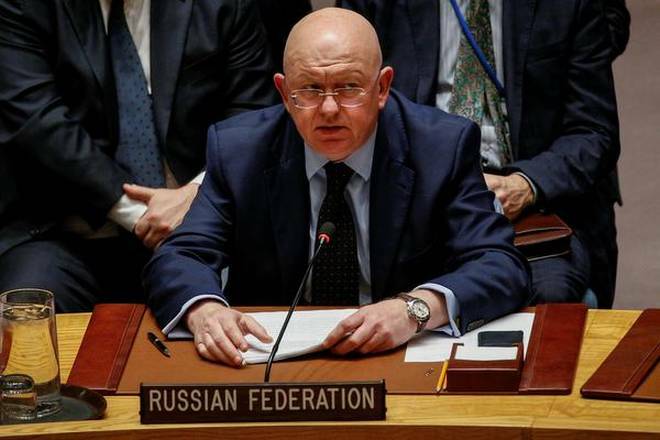 Nebenzia made a memorial point, in showing the double-standards and hypocrisy of the US’s stunt at the UN. He posed the hypothetical question of the appropriateness of the Security Council meeting about Black Lives Matter protests and Occupy Wall Street demonstrations, which in the case of the latter saw over 8,000 protesters arrested en masse. This was probably the most critical rhetorical point made at the session. Taking it further, we could naturally point out that the US likes to use the double criteria of accusing countries it is targeting that these countries are threats to stability and human rights abusers, while being chiefly the single country that has initiated more global conflicts in the history of modernity than any other country on earth, while simultaneously having both the highest incarceration rate, as well as absolute figure, on the planet. 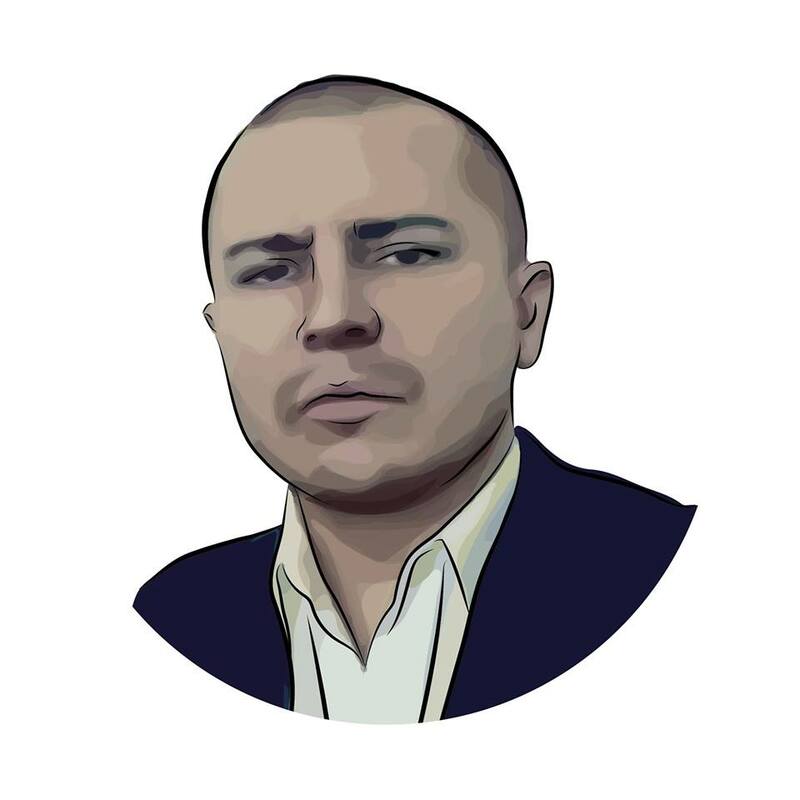 Joaquin Flores is Editor-in-Chief of Fort Russ News, as well as the Director of the Belgrade based think-tank, the Center for Syncretic Studies. He was educated at California State University, Los Angeles, in the field of International Relations. He previously served as Chief Negotiator and Internal Organizer in several jurisdictions for the SEIU labor union in California. Flores has twenty years experience in community, labor, and anti-war organizing. 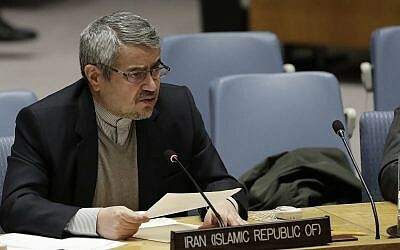 Flores has appeared regularly on Iran’s ‘PressTV’ and Russia’s ‘RT’ news to share his expert opinion and analysis on current geopolitical matters.